Creating gorgeous photos of your bump and baby as they grow is a great idea, it's our mission to make it as fun and as easy as possible. 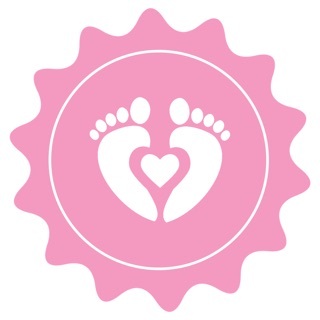 Baby Milestones is the very first App of its kind on the App Store! Not only can you select from over a thousand pieces or custom artwork to decorate your photos - you can now select from over 500 pieces of Animated Artwork to really bring them to life. You can save your creations as a still image, video, GIF or an interactive Live Photo. You can upload the video straight to Instagram and watch them play automatically in your feed. Your friends and followers will be asking you how you do it! If you have an iPhone 6s or later, you will probably have a ton of Live Photos in your gallery - the feature is turned on by default when you take a photo. Live Photos record what happens 1.5 seconds before and after you take a picture. What you get is more than a great photo: a moment captured with movement and sound, perfect to capture the emotions of your adorable children. You can create these magical memories of your bump and baby on any iPhone, just add animated stickers to any Live Photo that is sent to you. If still photos are your main choice, you can still create gorgeous photos with regular artwork - you have over 1000 stickers to choose from! If you want an original way to reveal the gender of your little bean - our unique Gender Reveal artwork is just for you! Create a Live Photo and add the relevant artwork, then when the Live Photo is activated, the artwork will reveal if its a boy or girl - you can even add some fun confetti explosions!! We continue to be one of the most popular Baby Photo apps on the App Store and continue to grow every single day. Don't just take our word for it, check out our reviews... we have had thousands of ratings and a near 5 (out of 5!) Star Rating! We thank you for being so honest. One of the greatest apps I've found. Love being able to simply edit my daughters photos with such cute designs! I was planning to buy the baby milestones cards however it was expensive. With this app I don't need to buy the card anymore. Thank you! 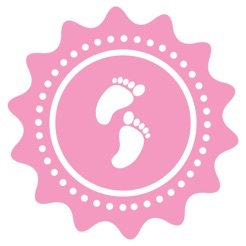 This is such a fun app to have as an expecting mom!! Love it! • Weekly pregnancy stickers with fun, 'Fruit Sizes', Junk Food' and 'Baby Objects' as comparisons - 3 complete packs. These are all included at no extra cost - no In App Purchases. We already know you will love this app, so please help spread the word and rate it on the App Store - it REALLY helps with future updates! Take care, from the tiny team at My Baby Milestones. - Look out for the new 'Valentines' artwork to help you share the love with your loved ones. - Have you ever been covered in wee, sick or poop? Or you really need that extra glass of wine at night? Well... Sometimes you just need to share your honest thoughts when certain unpleasant situations happen... so we've created a new 'Inappropriate' collection of artwork. You have to check them out! - We had requests to make it easier to rotate and resize artwork, so we've added a new icon when adding stickers that will help you create to perfect picture. You can still pinch to zoom and 2 finger rotate the stickers, if you prefer. - To make navigating easier, you can now swipe from the left edge of the screen to go back through categories and collections of Artwork. This really helps with one handed usage. - Some users were experiencing issues when adding a Live Photo - this has been fixed, YAY! You can now continue to create Live Photos and GIFs using our unique animated artwork feature.